We’re back on the road again today headed to Yellowstone after an amazing couple of nights in South Dakota. James planned most of our trip and I’m so glad he included some time in the Black Hills. The area is beautiful and there’s plenty to do if you’re looking for a more active vacation destination. We arrived in Custer too late on our first night to take in any of the sights. It was also almost too late to grab a bite to eat, too. Most restaurants close at 8 on the weekends and many aren’t open at all, so plan ahead if you need a later meal. 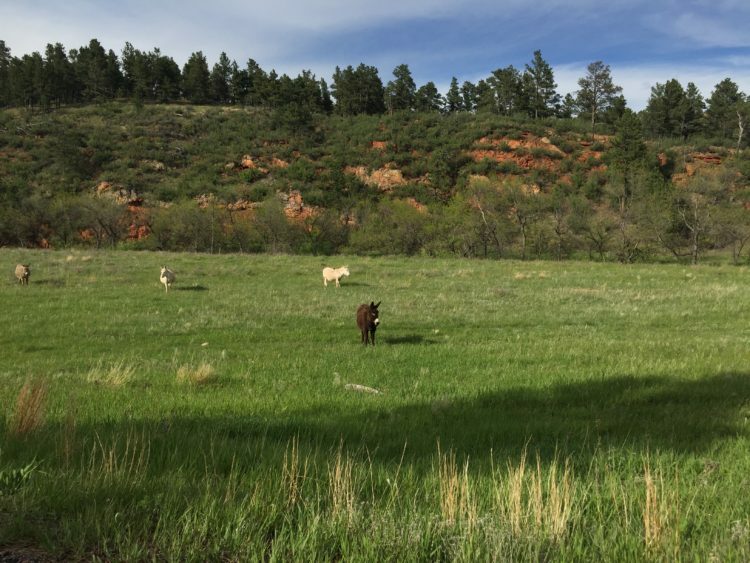 We had luck at The Custer Wolf and The Buglin’ Bull. We woke up early Sunday morning so we could hit all of the highlights in the area. Our day started with a visit to Mt. Rushmore. Although the national memorial is steeped in controversy, it’s worth a visit. I suggest reading up on the history of the memorial and the American Indian tribes in the area before you visit, because you won’t find any information about them at the memorial. It’s an important part of our history to acknowledge and learn from. Get to Mt. Rushmore early to beat the crowds. We walked along the Presidential Trail to see the mountain from multiple angles, browsed through the museum and watched the video about how Mt. Rushmore was carved into its current form. After about an hour, we decided to head to our next stop: Wind Cave National Park. Wind Cave was absolutely amazing. I hadn’t been inside a cave since I was a kid and I forgot how magical it feels. We bought tickets for a guided tour of the cave, which took just over an hour. It’s not recommended for anyone who’s claustrophobic, and I can understand why. There were several places where we had to crouch down or walk sideways because the cave got so tight. The tour starts by descending 100+ stairs. From the bottom of the stairs through the rest of the tour, you’re walking through the cave’s natural tunnels, just with a paved floor. Wind Cave is the sixth largest cave in the world, with 147 miles of tunnels. And, there’s likely more to be discovered. 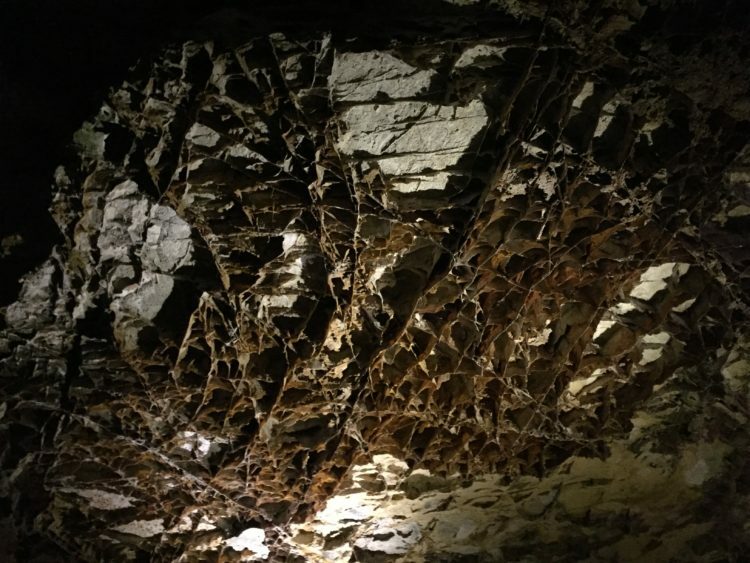 As we made our way through the cave, our guide told us about its history and some of the research being done at the site. If you’re in the Black Hills, don’t miss Wind Cave. It was one of the highlights of our day. It seems especially great for kids, but keep in mind there’s a lot of stairs to walk up and down and you’re not allowed to touch the cave. I was extremely impressed by the mother who carried her baby during the entire tour because baby carriers aren’t allowed. We were really hungry by the time we got out of the cave, so we stopped back in Custer for a late lunch, followed by pie. 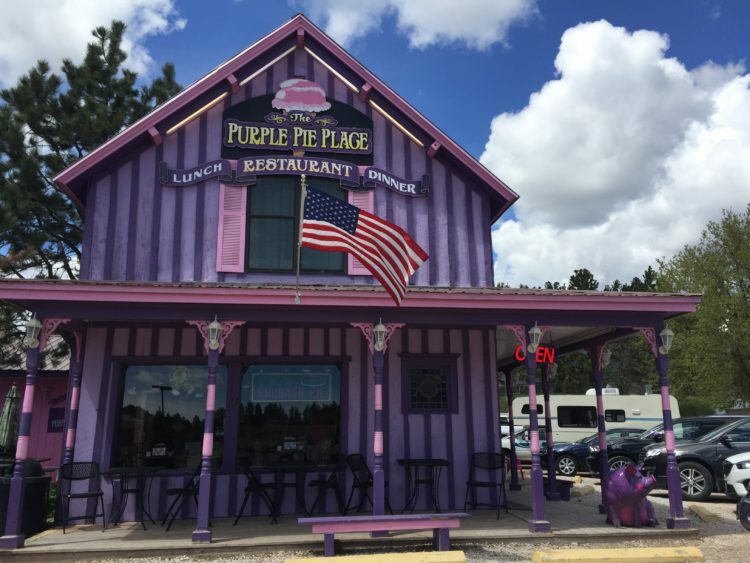 Guys, you HAVE to stop by the Purple Pie Place if you’re in town. We got slices of bumbleberry and strawberry rhubarb pie and they were both delicious. You can’t beat homemade pie! With our bellies full, we drove to Crazy Horse, which has such an interesting history. The project receives no federal funding and is instead made possible through visitor fees and donations. The late sculptor, Korczak, spent the first five years chiseling away at the mountain himself, walking up hundreds of stairs several times everyday. Now his children help supervise the project, which has a much larger crew these days. 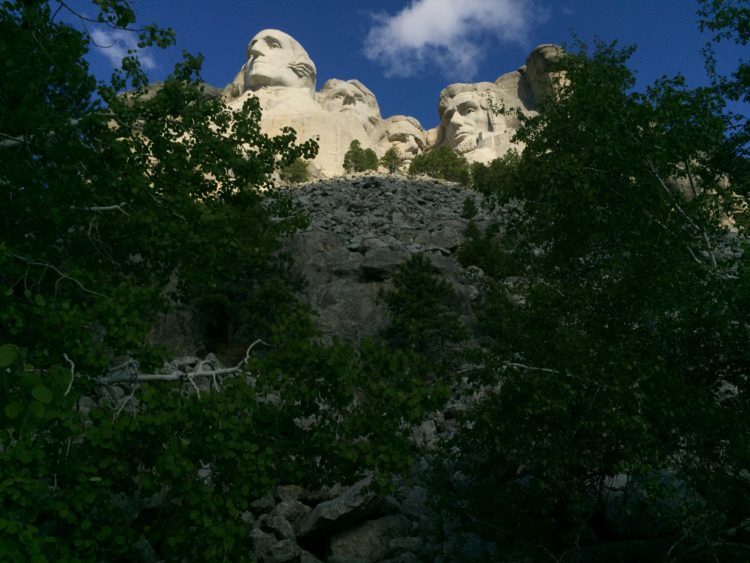 They’re focusing on shaping Crazy Horse’s hand and the horse’s head. 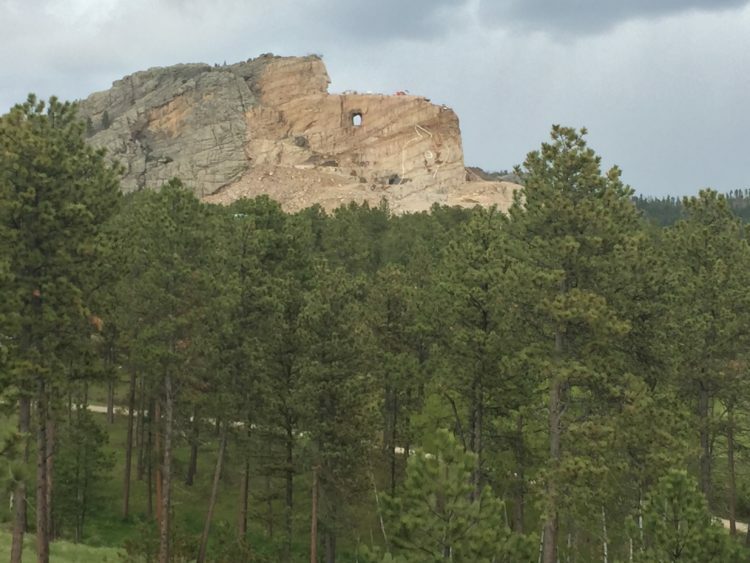 It’s amazing to see how much progress has been made just since 1998, which is when Crazy Horse’s head was unveiled. We walked through the museum and took in the memorial from the deck out back. You can pay extra to take a bus that gets you a mile closer, but we opted not to. 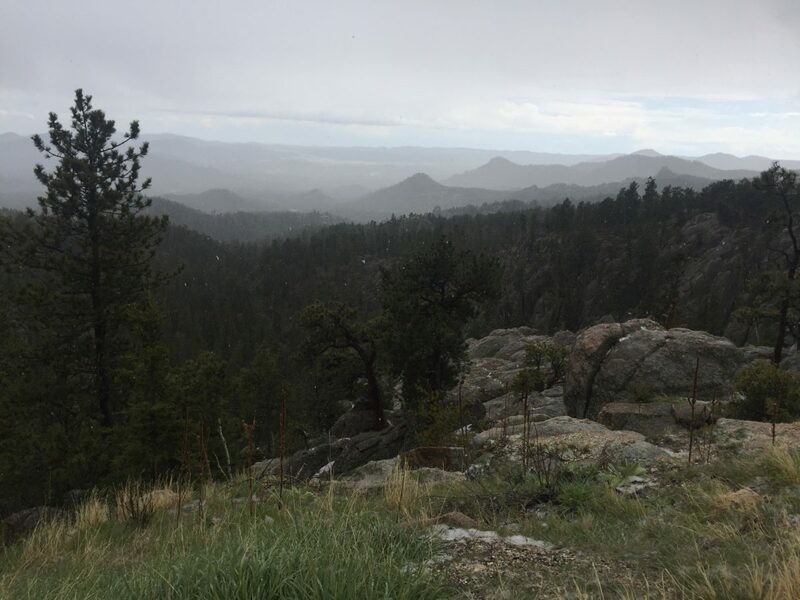 As storm clouds started to roll in, we decided to drive toward Custer State Park, which my friend Zach recommended. We drove the scenic Needles Highway, stopping to take in some of the views. I had to close my eyes at some points because the switchbacks made me so nervous! But it was so worth it because it was one of the most beautiful drives I’ve been on. 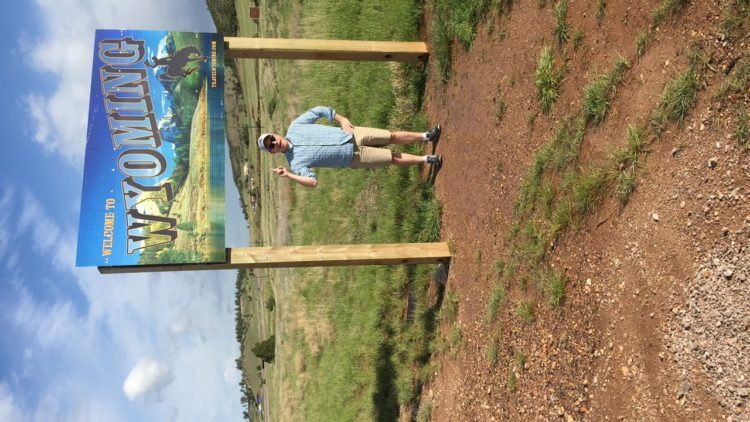 We then made our way to the Wildlife Loop, where we passed antelope, donkeys and lots of bison. We also walked around gorgeous Sylvan Lake, where you can rent kayaks and canoes. 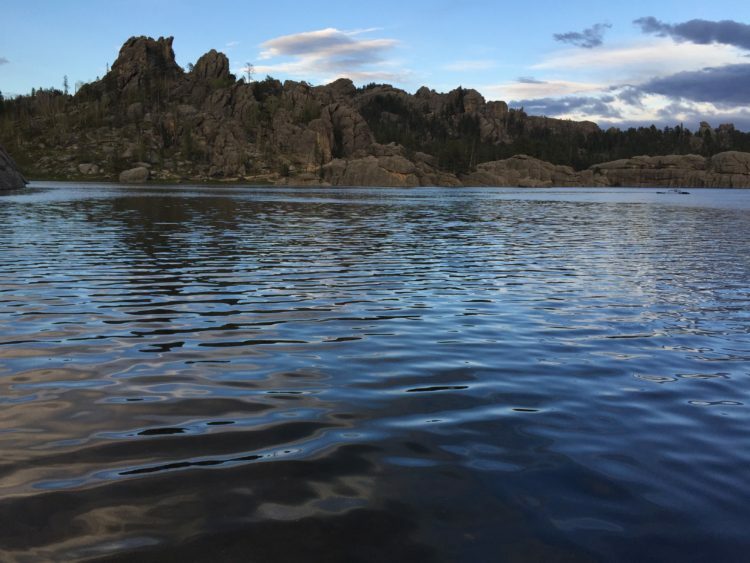 Next time we come to South Dakota, I want to camp at Custer State Park. It was my favorite stop of the day. After a full day, we scarfed down dinner and went to bed pretty early. We stayed at the Bavarian Inn, which was a great little hotel. I’m very picky about hotels because I’m a clean freak, and this one held up. Our room was simple but comfortable and the friendly staff was attentive and helpful. I think this would be a great place to stay with kids because there is both an indoor and outdoor pool, as well as a breakfast pancake bar with any topping you could imagine. I have a feeling that’s what made James choose the hotel! 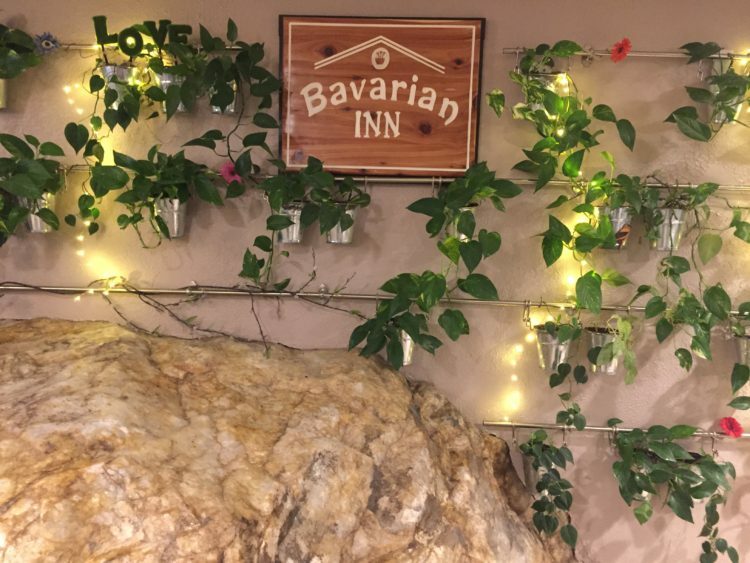 I would highly recommend the Bavarian Inn if you’re looking for a place in Custer. The lodges and cabins at Custer State Park also looked great. Now we’ve got about seven hours in the car until we reach our next destination. Thank goodness for podcasts!